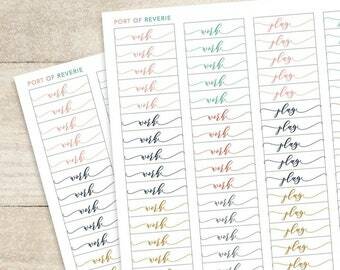 These planner stickers are a fun way to stay organized! 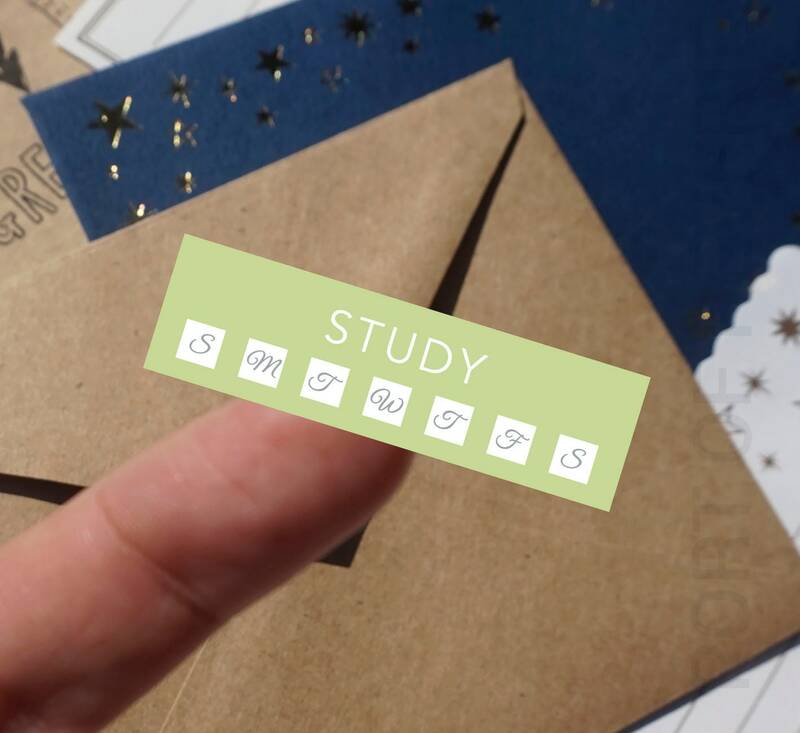 Use them in your bullet journal, weekly planner or monthly calendar. Just peel and stick! Sold by the sheet. Listing is for ONE sheet of stickers. Printed in many fun colors as shown! 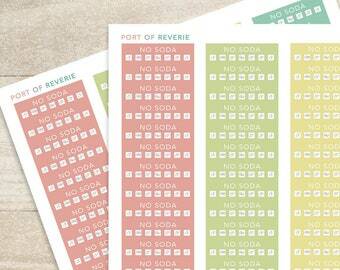 Four beautiful pastel colors used on each sheet. Made with a matte finish for easy writing. 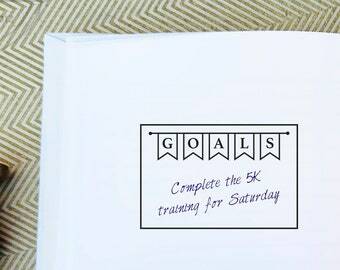 Use the cute checkboxes to mark the days and keep track of your habits with ease. You will receive your order in 3-5 business days if in the USA. Anywhere outside of the USA will take 1-3 weeks. Shipping will vary with international customers depending on location. Please note: These stickers are sold as is and can not be customized. Everything went quick, the proof and the shipping. Love them once I got them! 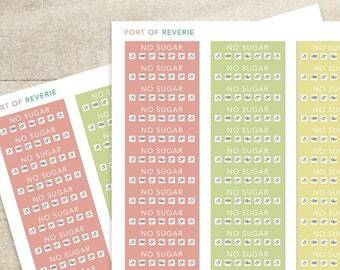 Super cute labels. Fast shipping. We accept PayPal and credit cards through Etsy's direct checkout system. Cancellations: Once the order is submitted we begin working on items almost immediately. Only non-Customized items are eligible to be returned for a refund. Custom orders that can not be resold (i.e. personalized cards, stickers, tags, etc) are non-refundable and non-returnable unless an error was made on our end. Once you have submitted final proof approval, the production process will begin immediately and you may not cancel your order. Once the order is placed and a proof is sent you may not cancel your order. For DIGITAL files, there are no shipping fees. No actual, physical piece will be mailed to you. The digital, printable files are emailed to you. Please convo or email me regarding ANYTHING you would like to ask about. The processing time for all orders is currently 1-3 business days. All orders are processed on business days only - Monday through Friday, not including major holidays, so please take that into account. We will send you the first proof within 1-3 business days once the purchase is made. You then have the choice to approve or send back any changes. If you send any changes back we will make them and then send you a second proof. If you're happy with everything just let me know and I will send you your digital files or begin printing. All orders include tracking and insurance (delivery time: usually 2-5 business days, but can take up to two weeks). 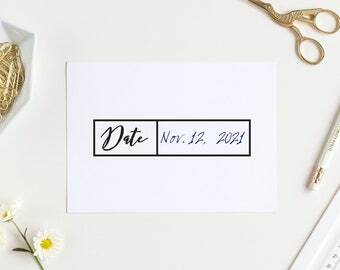 We can only guarantee a ship date and give you an expected delivery window. Need your items within 14 days of your purchase? Please upgrade the shipping during checkout. For international shipments, we use USPS First Class International, which does not come with a tracking or confirmation option. Please be aware that international shipments can take anywhere from 4-6 weeks to arrive. Delivery time varies by destination. Additional time may be required for packages to clear customs in the destination country. I'm not responsible for delays due to customs. Buyers are responsible for any customs and import taxes that may apply. Please note that customs fees are different for each country and fees vary greatly. If you would prefer another shipping method or would like to include insurance, just let me know as soon as you can - we usually ship within two days of receiving an order. Both of these options will incur additional charges. Shipping costs cover postage and handling. During check out please be sure to confirm that the shipping address you are providing is correct. All orders will be shipped to the address you enter at checkout. We are not responsible for lost or undelivered orders due to incorrect or outdated addresses, so please check your address during checkout. You have a responsibility to double check the content on all proofs. If a proof is approved with a text error, I can change it at no extra charge, but I will not refund money for printed materials. Photos should be 300 dpi or higher for proper print quality. I cannot be held responsible for photo quality. If you need assistance let me know and we can check the quality of your photo(s). Keep in mind that coloring may differ from computer to computer & even from printer to printer so I cannot be held accountable for color variations. **IMPORTANT** If you requested a proof please watch your Etsy convo box for these messages. We send a reminder if we have not heard from you within 2 days of the proof being sent. If two more days pass and there has been no word we will ship them as proofed. As with any online transaction, if you are unhappy, please contact us to work it out before leaving feedback. We will do everything we can to make sure you're happy! The artist retains the right to use reproductions of the artwork for creative promotional purposes, and is credited for the artwork. Looking for something custom? I will do my best! Convo me and lets chat.